The most famous cricketing arena in the world provided the setting as prominent cricketing personalities joined writers to discuss cricket initiatives. Invited guests also received a tour of Lord’s - the home of cricket. The ECB is developing exciting plans to boost its support of regional cricket within the British Asian community, from the grassroots level and up and took the opportunity to provide an overview of impressive strategies to engage directly with those involved and to work together to achieve these goals. There was a preview ahead of this summer’s tours of England by Sri Lanka and India, and the ECB provided an opportunity for feedback and questions. 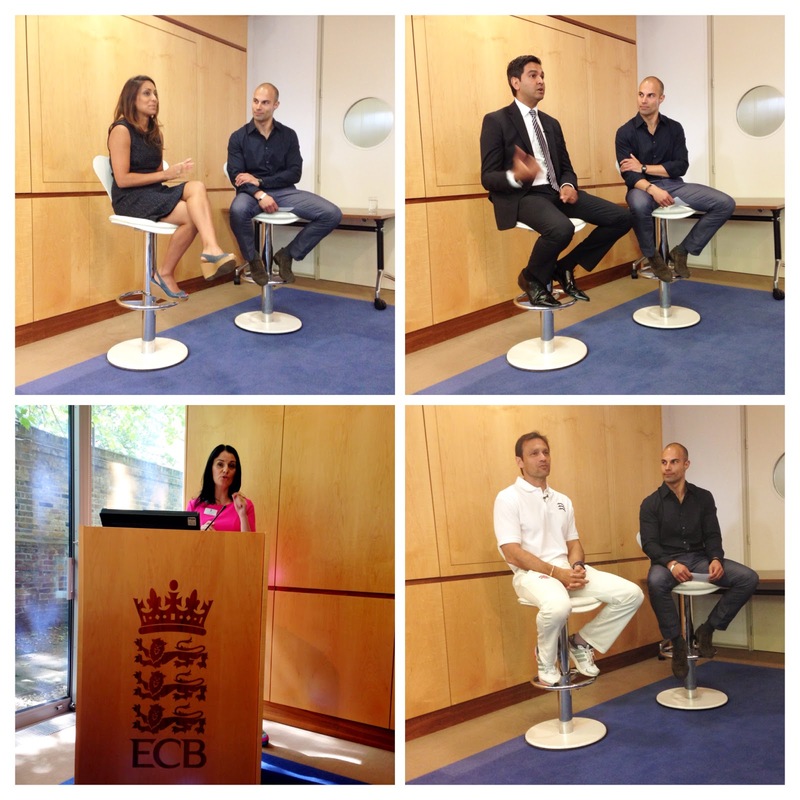 After a welcome and overview from Jane Hannah of the ECB the event was hosted by Sky Sports’ and Cricket Am host Matt Floyd and included Q&A sessions with former England cricketers, Isa Guha and Mark Ramprakash. The media accreditation presentation was led by the ECB’s Maria O’ Donoghue and included an overview of the ECB’s media accreditation process and advice on how to apply to cover international and domestic cricket. Wasim Khan MBE is Chief Executive of the Cricket Foundation as well as Chance to Shine, the charity which promotes cricket in state schools. Wasim said: “At the age of twelve, I was spotted in the playground by a teacher. I had fond memories of the West Indies side of the 80’s and I told my teacher that I learnt cricket from watching it on the telly. Isa Guha represented the England Women’s team 113 times during an illustrious 10 year career which encompassed three Ashes series wins and a double triumph in the Women’s World Cup and World T20 tournament in 2009. The programme at Lord’s was part of the ECB’s wider efforts to engage with South Asian cricket communities in England and was also attended by ex England captain and ECB Managing Director of Cricketing Partnerships Mike Gatting who said; “We are acutely aware of the importance of providing wider opportunities for the very best young South Asian cricketers to fulfill their talent and make their mark in the pro game. We work closely with the Lord’s Taverners whose Inter City Cup Competition (formerly the Wisden City Cup) now covers 8 cities. “The initiative has already helped three Asian players secure highly sought after contracts as MCC Young Cricketers, the latest being Janak Valand, whose performances for Leicester’s Barclaye Eagles side last summer caught the eye of the MCC’s Head Coach Mark Alleyne.